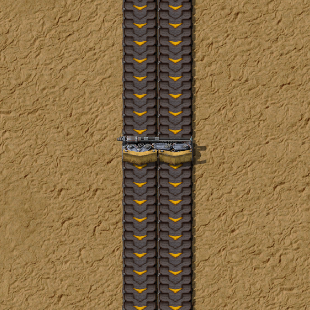 The splitter is used to divide a single belt, combine two belts into one, or equally balance two belts together. The items are placed in 1:1 relation on the outgoing belts. It is possible to set a filter and input and output priorities as described on belt transport system. Renamed "basic splitter" to "splitter". Draw ending/starting pieces of underground belt and splitter. Splitter now has a maximum memory of 5 items when forced to send items on one side because the other one is blocked. This page was last edited on 27 February 2019, at 21:07.